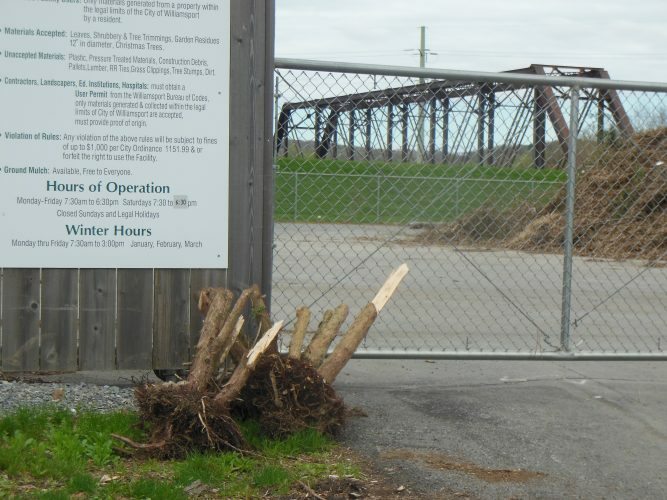 Conservation projects are alive and well in Lycoming County, but more funding is needed to continue the work, according to government officials. Environmental concerns and other issues were discussed at the annual county conservation district breakfast Thursday. Mark Davidson, district manager, Lycoming County Conservation District, pointed out some of the work recently done on local creeks. One of the bigger projects amounted to streambank stabilization work on Muncy Creek, thanks to Growing Greener and other grant funding of more than $450,000. In addition, state Act 13 funding made stream restoration work possible on Mill Creek and Wolf Run. All told, nearly six miles of streams underwent improvements. The following streams are targeted for restoration efforts: Mill Creek, Glade Run, Grafius Run, Little Muncy Creek, and West Mill Creek. Brenda Shambaugh, executive director, Pennsylvania Association of Conservation Districts, said her group is opposed to a proposal by Gov. Wolf to remove state Department of Environmental Protection funding from the Environmental Stewardship Fund. Growing Greener projects are often the source of that money, she noted. Overall, state Department of Agricultural funding for the state’s conservation districts including Lycoming County has remained at $869,000 since the 2004-05 budget. Gov. Wolf has not proposed raising that amount. State Sen. Gene Yaw, R-Loyalsock Township, said stream restoration efforts are vital to the region and a big part of helping preserve the Chesapeake Bay. “50 percent of fresh water going into the Bay comes from Pennsylvania streams,” he said. Yaw said communities will pay the price if they don’t abide by efforts to take part in the Bay cleanup which also includes reducing nutrients such as nitrogen and phosphorus from agricultural runoffs and other operations. On another topic, the lawmaker mentioned Gov. 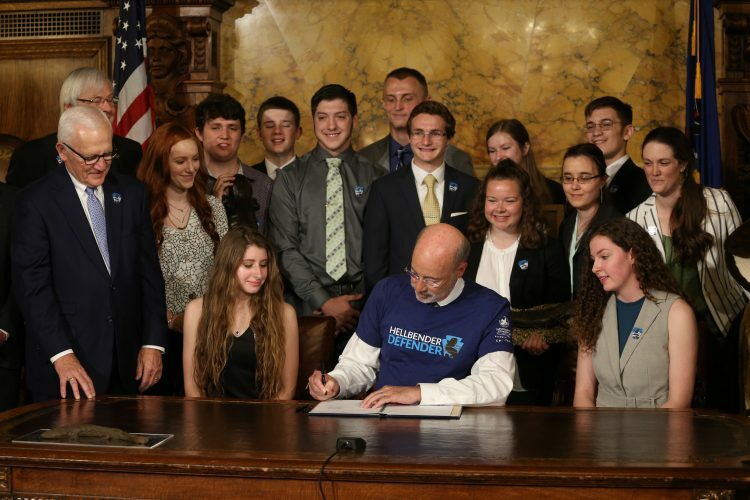 Wolf’s Restore Pennsylvania initiative that would invest $4.5 billion over the next four years for technology, development and infrastructure. “How do we fund it? His proposal is a severance tax,” Yaw said. He noted the state already has in place an the impact fee on natural gas drilling, which has brought revenues back to local communities. “We have to preserve the impact fee,” he said. Wheeland said Restore Pennsylvania could definitely bring much needed funding for local infrastructure. Russ Reitz, a local businessman and farmer, urged lawmakers to prohibit Sunday hunting. It’s an issue, Wheeland said, that will certainly be negotiated. Overall, the question of Sunday hunting is spit between those for and against the measure, he noted. He said he could foresee legislation that results in allowing Sunday hunting for perhaps four to five times a year. “And it might be limited to state gamelands,” Yaw added. Yaw said he remains hopeful that the eastern hellbender will be officially designated as the official state amphibian. The Senate approved his bill earlier this year for that to happen. Environmental groups and Gov. Wolf support the measure, which awaits approval by the House.